WASHINGTON – Consumers Union, the advocacy arm of Consumer Reports, today made the following statement about the Federal Communications Commission (FCC)’s plan for net neutrality rules. The FCC is planning a new set of rules that would let Internet service providers give some traffic special treatment, as long as these deals were made available on “commercially reasonable” terms for all content providers. The FCC would decide on a case-by-case basis whether these deals were anti-competitive. 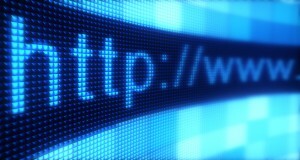 The FCC said the rules would prevent providers from blocking or discriminating against a specific website or service.